new Tom Brumley 'Steelin the Show' release! Topic: new Tom Brumley 'Steelin the Show' release! friend of mine just pointed me toward this recent release on Omnivore records. looks like they've collected all Tom's cuts from the various Buckaroos albums and put them on one disc... bravo! And So Did I Mike, J.R. I've gladly ordered as well ! of scary good players then, and many more now. Exact same lp as the Bradshaw record with the addition of 3 songs - Together Again,Highland Fling and March of the McGregor. Little known fact - Highland Fling featured Tom Brumley on Dobro and Don Rich on steel guitar. keep in mind this is a brand new release (as of last month) with no connection to Tom Bradshaw. 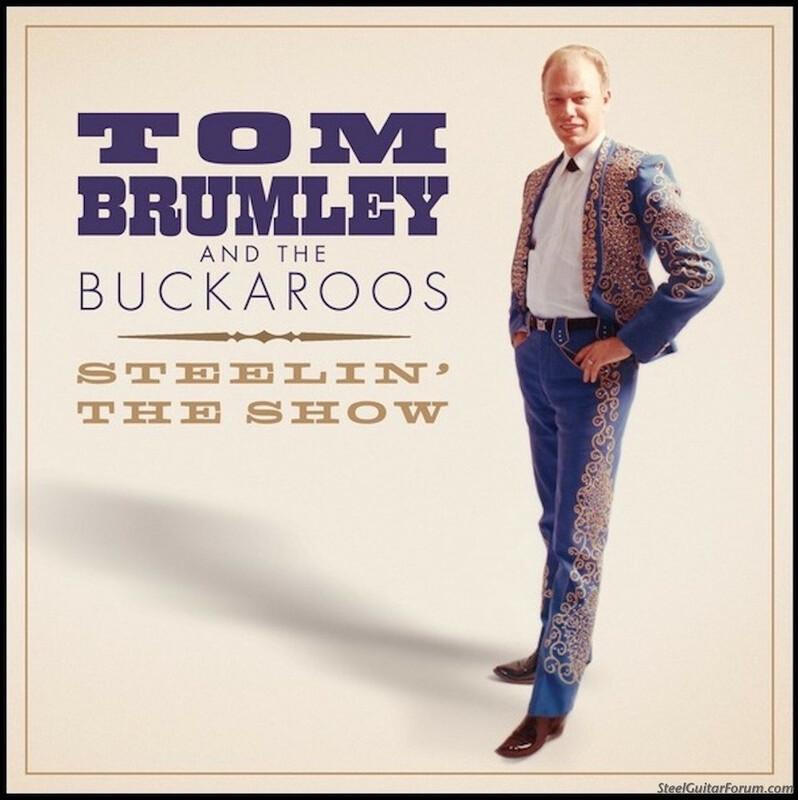 it's a great thing to purchase and support, not just for the tribute to Mr. Brumley or the incredible music of Tom and the Buckaroos remastered for the first time in decades. 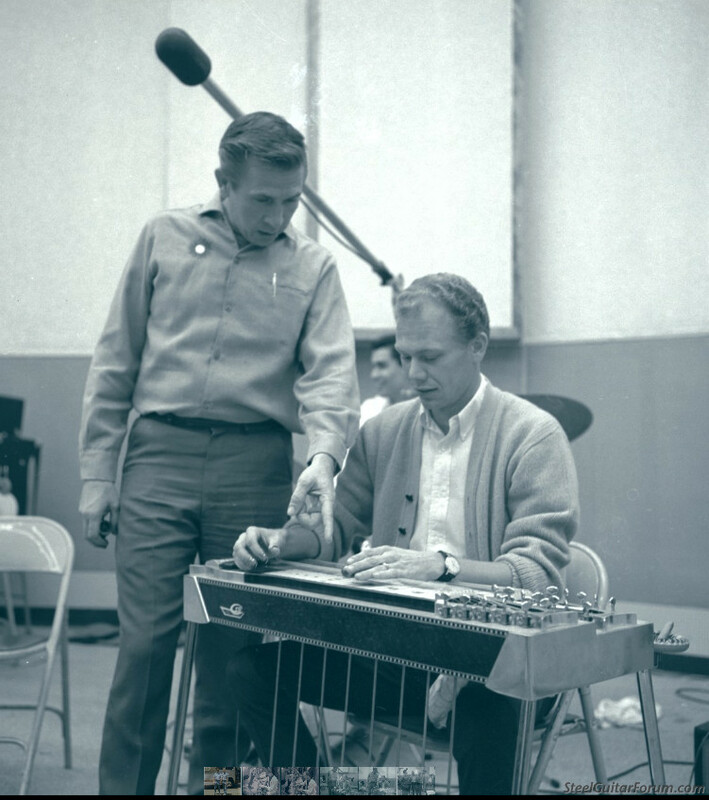 it also supports Tom's family and will go a long way in justifying future steel guitar releases. I ordered mine as well... can't wait! Thank you guys for posting Tom's new cd on the forum. It is just a great cd. Been remastered and I'm so proud of it. And thank you all for not forgetting my Tom. He was just a special guy. Often imitated . . . . never duplicated!!!! Gotta have this one...and Thanks for the great pic, Rolene! CD arrived today, what a terrific package. the 15-page booklet is full of great color photos, most I've never seen. there's also a dedication written by Rolene and the kids and an essay by Randy Poe. wish Tom were around to see this, they really did him right. Good on you Scott. I am still waiting. I hope it shows soon. Just to have all that on one nice CD will be great. J.R.
Had a reply to an e-mail I sent them. They are out of stock and I am on back order. I love it, only happens to me. J.R.
J.R. may I say: not to good for you, but a sign that the release is not ignored but selling so far. Has anyone received a copy of this yet? I ordered and paid for one on Jan.12th and have yet to receive it? Same here Mike. I did get an e-mail saying that they had run out and were on order. So mine is back ordered. They did offer a refund but I do not want that, just want the CD. No word on how long it will be. J.R.
sorry to hear that guys. I actually bought mine from an Amazon seller and received it in fairly short order. hope you get yours soon, it's worth every penny and more! I ordered on January 12 th, still have not received and they are not responding to email from several days ago.